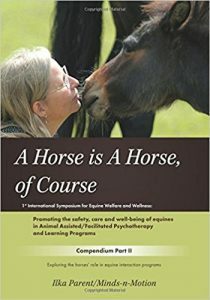 Additional authors include Nina Ekholm Fry, Tim Jobe and Bettina Shultz Jobe, Kate Naylor, Kathleen Choe, Kirby Wycoff, Sarah Jenkins, Rebecca Bailey, Geeza Kovacs, Rob Pliskin, and Philippa Williams. More information to follow on how to order once the books are in print and ready to go. 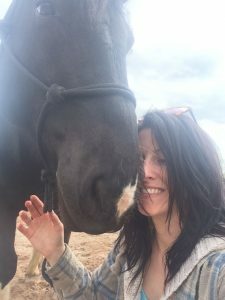 No less exciting are the books that came out last fall before launching this blog. 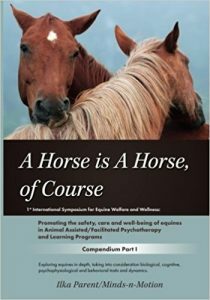 The 1st International Symposium for Equine Welfare and Wellness took place in Germany in July 2017, focusing on the role and wellbeing of the animals in equine-assisted interventions. Those of us who presented at the symposium were invited to submit chapters for the Compendium that was published as a result, to make the information accessible to a broader audience. Additional authors also submitted articles, which resulted in the Compendium being split into two very thorough volumes. 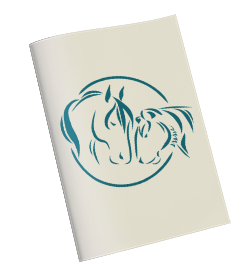 The proceeds from the sale of the Compendium go to funding equine-assisted therapy research and programs for clients in need.